Toshiba expects to post a $4.5 billion loss this year as it deals with the aftermath of a massive accounting scandal. The estimated loss is significantly higher than analysts had expected, and is six times more than the 90.5 billion yen ($734 million) loss it posted for the first half of the year. 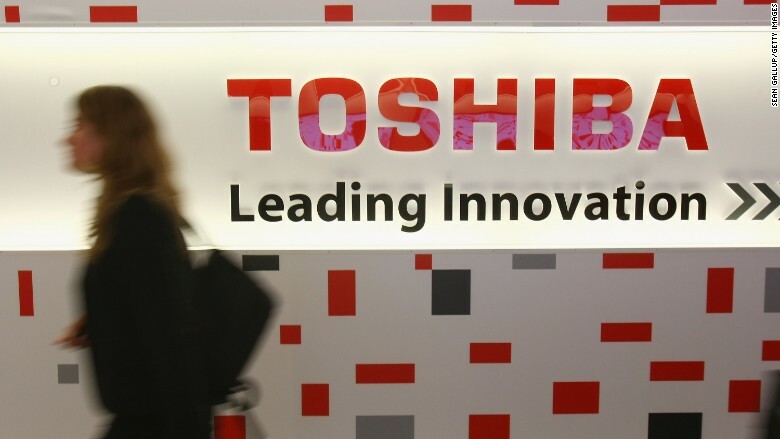 Some of the losses are associated with a huge restructuring plan Toshiba announced Monday. The company will cut about 6,800 jobs in its consumer electronics divisions by the end of March, and another 1,000 employees at its headquarters, according to company statements released after markets closed in Tokyo. Toshiba will also shutter its audio-visual business in all countries except Japan, and instead focus on licensing its brand in foreign markets. The $4.5 billion annual loss will result from restructuring costs, poor performance from the company's energy and electronic devices divisions and income tax payments. Toshiba shares plunged 10% Monday in anticipation of the reorganization. Toshiba has been struggling to recover from an accounting scandal that resulted in inflated profits. Shares of the company have fallen 50% this year, as the scale of the problem has continued to grow, forcing CEO Hisao Tanaka to resign in July. Other executives have also stepped down, and Toshiba has corrected its earnings statements from previous years. The headache started in April, when Toshiba itself began investigating accounting practices in its energy division. "The scandal has just sped up the entire process of restructuring, and it's adding a sense of urgency," said Bernstein analyst Michael Miles. Toshiba was founded in 1875, and made a name for itself introducing technological advancements in Japan from electric washing machines to refrigerators, and later, the world's first color TV. Today, the company has expanded from consumer electronics to include a diverse range of products from nuclear power to medical equipment. Miles said there could still be additional "skeletons in the closet" at Toshiba. "It just keeps coming, and there is still a lot to do -- it's a very opaque company," he said of the accounting scandal.